Puppies are cute, playful and full of energy, so it’s easy to see why most people adopt a young dog. Unfortunately, the lure of a puppy means many people don’t consider getting an older dog - even when a senior pup could be a better choice. There are also misconceptions surrounding adopting an older dog. So, to help you decide whether a puppy is really the best choice, here are eight reasons to consider an older dog. Note: For the purposes of this article, I’m assuming that “older” means a dog that’s at least seven-years old. Everyone knows that each dog breed has a unique combination of traits, characteristics and potential health problems. This is why it’s vital to research a breed before you adopt a dog. Knowing the breed doesn’t always tell you about a dog’s personality though. Every dog is an individual character, and behavioral traits vary depending on genetics and upbringing. A dog’s mature character can even be affected by experiences during the first few weeks of life. This means it can be difficult to judge a puppy’s personality and temperament. In contrast, you know what you’re getting with an older dog. These dogs have matured, so there aren’t many surprises in store. This makes it much easier to choose a dog based on your requirements, especially if you have cats, children or other dogs. 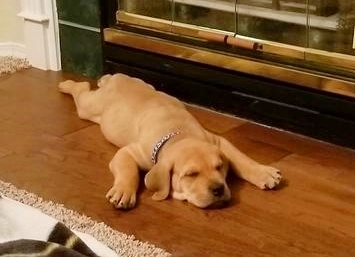 Housetraining is one of the most frustrating parts of adopting a new puppy. You need to be prepared to get up throughout the night if you want your pet to learn quickly. And, just when you think your dog has “got it,” there’s almost always a few surprise accidents! A great thing when you adopt and older dog is that most dogs have been house trained. This eliminates one of the major stresses when adopting a new dog. Not all older dogs are house trained though. Some dogs have never been taught - especially if they’ve been neglected by their previous owner. It’s also common for dogs to have a few accidents when they first arrive, as this can be a stressful time. Genetic health issues, such as mitral valve disease, are impossible to diagnose in puppies. They only become apparent as the dog gets older. This means older dogs don’t always cost more money in vet bills, as many people assume, as many genetic conditions should be known. For this reason, it’s important to see a health report before you adopt an older dog. If the animal suffers from an existing health conditions, make sure you’re aware of the financial commitments before adopting. Of course, the flip-side is that older dogs are more likely to develop age-related health conditions, such as cancer. They may also suffer from degenerative conditions such as arthritis, which can increase vet bills and require extra spending on medication and orthopedic dog beds. (TheDogClinic.com has a useful list of orthopedic beds for dogs). The reality is that dogs can require medical treatment at any age though - and all puppies will be older pets at some point! Adult dogs are calmer and have better focus. They are also eager to please, which can make training easier. If anyone tells you that older dogs can’t learn, don’t listen to them! The cost of a dog shouldn’t be one of the main concerns when choosing a new pet. A dog is a big commitment, so it’s vital to get the right pet for your home, rather than basing the decision on price. With that said, some puppies cost thousands of dollars - especially if they are a “designer” or rare breed. That’s a lot of money - especially as there’s also the ongoing costs of food and equipment. Adult dogs are much cheaper because they are in less demand. Shelters charge a rehoming fee, but you’ll never need to pay thousands of dollars when you adopt an older dog. Just like elderly dogs are often already house trained, many know basic commands such as “sit” and “wait.” You should always be prepared to do some obedience training with a new dog, but older pets are much less time-consuming than a new puppy. If you want a highly trained dog without spending too much time training, you could always look for an ex-service dog. These dogs have wonderful temperaments and are trained to a high standard. There’s nothing more annoying than coming home to chewed up shoes, furniture, dog beds…or just about anything else a puppy can reach. Puppies love to chew as a way of exploring their world. If they are teething, chewing can also relieve the pain of teeth breaking through. This can make it a difficult habit to control. You don’t have this problem when you adopt an older dog though. 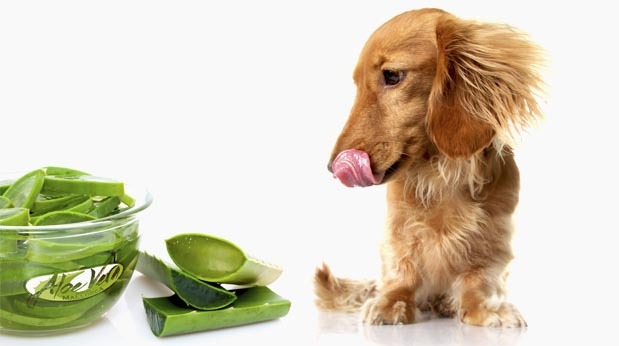 While adult dogs may chew due to stress or anxiety, this is much less common than with a puppy. 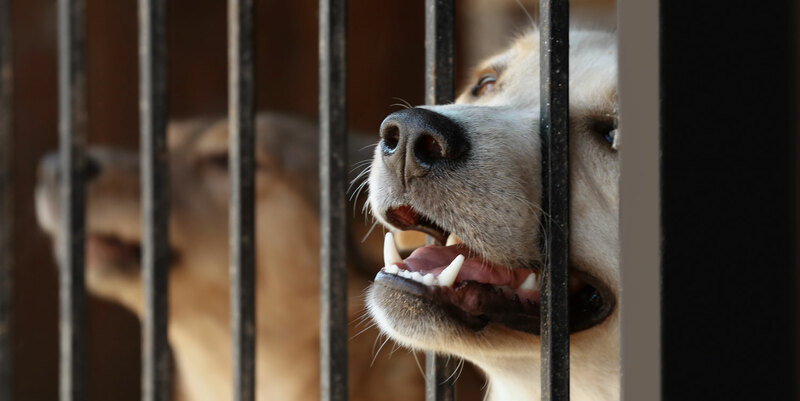 It’s estimated that over 7.5 million dogs enter shelters each year in the United States. Many of these are older dogs, which are often much harder to re-home. The heart-breaking thing is that older dogs can make wonderful pets. Just because a dog is in a shelter doesn’t mean it’s a “problem” animal, as there are numerous reasons why people give up their pet. Yet many are left languishing in shelters for their remaining years, without a family to love them. Senior dogs are also more likely to be put down, so adopting one could save its life. 9. Getting your Home ready for your new dog! Before you bring your new best friend home, there are several things you have to consider and do to make your home ready. We recommend reading this article from our colleagues at puppywire.com - a great article on how to prepare for your new dog's home-coming! The article is aimed at bringing a rescue dog home but can apply to any dog. 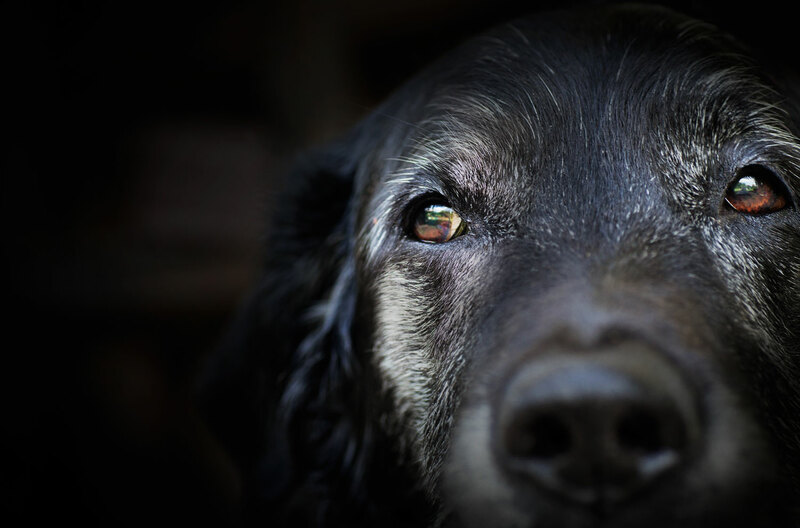 Older dogs deserve just as much love as young puppies, but they are often overlooked. Many dogs in shelters could make wonderful pets if someone was willing to give them a chance. Adopting an older pet isn’t just great for the dog though. There are many potential benefits, including existing training, calmer temperaments and less uncertainty about the dog’s personality. So, if you’re thinking of getting a dog, an older canine companion could be the perfect choice. Elderly dogs aren’t right for everyone, but they are always worth considering.